Apparently it was the LD candidate for the GE who won the by-election and it was his local council seat but no matter which way you look at this one it is an impressive gain. I genuinly think that Labour’s long dismal reign in the Assembly, and their perceived Cardiff-Centric views is damaging them, especially in the North East of Wales. People are also angry with many Labour controlled councils in Wales + in Gower and the Vale of Clwyd we saw people giving Labour a bloody nose for perhaps reasons on a local, national + UK level. Since the boundary review will have a particularly large effect in Wales, where seats are currently on average 20,000 smaller than those in England, it is completely futile talking about existing seats and 2020. By all means talk about regional effects, and there is clearly some long term erosion of Labour support in the old north Wales coalfield, as in other coalfield areas. Wrexham itself also has a history at times of the Lib Dems doing pretty well. They were decimated in May but if they revived to any extent which might be possible (indeed that Llay by-election may be an early sign of this) if Corbyn remained as Labour leader to 2020 (a very big if still – and a huge amount can change not just Boundary Commission changes in 5 years) a huge amount here would depend on whether any revival in LD vote share came from Labour or the Tories. It is certainly in play though, very much so, subject to boundary commission changes. I was a Labour supporter (not sure I’d quite say the same post Corbyn’s election but certainly am historically) but for certain in Wales the perceived problems with the Assembly government and Welsh NHS (to some extent education as well) hit them in NE Wales in May and will continue to do so especially under a hard left leader like Corbyn who won’t go down well in places like this. The then new seat of Wrexham was won by a “coupon” LIberal in 1918 in a straight fight against Labour. In 1922 a Unionist interevened and Labour won the seat, whcih they held until 1924, when the Liberals won a straight fight with Labour. Labour regained the seat in 1929; but lost it narrowly (by 1821 votes) in 1931 in a straight fight with Labour.. The sitting Liberal MP was advised to stand as a National LIberal in 1935; but chose to stand as a LIberal and this time lost a straight fght with Labour. Labour has held the seat ever since, except from 1981 to 1983 when the MP deserted to the Social Democratic Party. It is interesting to note that Robert Richards was the Labour candidate in every election from 1922 until he died in 1954. In the March 1955 by-election Labour won easily against a National LIberal candidate with Plaid Cymru in third place getting 11%. There was no Conservative candidate. It is hard to describe this history of one of LibDem success. In times of greater Liberal strength before World War 2 they could only win (and not always then) when they were supported by the Conservatives. And when the MP defected from Labour in the 1980s the Social Democratic/Liberal alliance were unable to hold the seat. it is interesting to note that Labour nearly gained this seat in 1931 despite their disastrous performance nationally. This prompts the anorak in me to wonder if Labour gained any seats at all in 1931 (I think off-hand that they didn’t). Also, are there any other instances in modern times of an MP losing and then re-gaining his seat twice? Labour are in big trouble here and can’t take anything for granted. I think the possibility of the Tories winning both the Westminster and Assembly seats are quite high, and could be achieved with hard work. This is very true and becomes more so if they add more of the Conservative-voting rural eastern fringes of Wrexham to the seat in the boundary review than the Labour voting western villages at present in Clwyd South. Many of the latter could go into that proposed Montgomery and Denbigh seat and be completely overwhelmed by a seat that would have been comfortably Tory this year. Indeed, and it seems likely that there is a trend underway across most of North East Wales that is going against Labour in the longterm. Yup, if the Tories can squeeze some of that UKIP vote (I appreciate far from all of it will be right-leaning) they’re in with a real shout here. I think the Tories had if anything during the 2000s massively under-performed here for a long time- witness the disappointing continuing decreases for them in 2001 and 2005, while the Lib Dems began to establish themselves in second place. Perhaps there was at one time an element of tactical voting for them by natural Tories against Labour until such voters realised in recent times it was in fact only the Tories who could actually realistically threaten Ian Lucas, perhaps explaining their strong-looking results since. I think the natural order of things has returned to an extent here now TBH, albeit Labour are now in their weakest position since 1983. Don’t think it is necessarily any big demographic shift (I don’t know, though I guess deindustrialisation might go a long way to explaining the wider trend in Wales). There has been a chunk of Tory strength here for a while – they got close in the ’80s – but other factors are now lining up to make this sort of seat more winnable than it has been: LAB having been in govt. in Wales for 16 years, the LD collapse, UKIP picking up some of the traditional LAB vote, PC going nowhere etc. Also remember boundary changes will be more substantial in Wales than elsewhere because it no longer has a protected 40 seats and instead will get its proportional allocation, if the aborted review is anything to go by about 32. I think more like 30, Jack. It would be 32 in Wales if the boundary review allowed for 650 seats instead of 600, but sadly this is not the case. And “in charge of Wales”, in a broad sense, since 1997. By 2020, they will probably have been in the establishment in Wales for 23 years! There is certainly evidence of a shift happening, albeit in most seats at glacial pace. In their south Wales heartlands LAB still have big majorities, admittedly not quite as big as 40 years ago though. 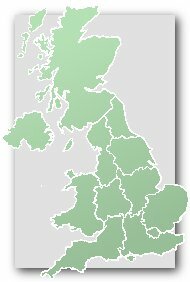 I think it would be hard for the Tories ‘win’ Wales in the foreseeable future (there is an outside chance they could form an Assembly administration with UKIP support); the best chance of dislodging LAB remains Plaid doing what the SNP have done in Scotland but they have, if anything, gone backwards since devolution. In the mock boundary review I carried out a few years ago this seat lost some of the areas on the towns northern fringe to a new South Flintshire seat whilst gaining the eastern half of Clewyd South. I would imagine such a seat would have gone Tory this year. That review was carried out using the old rules and if given Wales the same electoral quota as the rest of the UK with a theoretical entitlement of 32 seats. In the end I gave Wales 35 seats once I’d considered local geographic factors in each area. Labour’s position in Wales isn’t as rock solid as it once was, but Plaid isn’t really the country’s SNP. PC’s vote isn’t widespread enough, the Welsh language issue alienates those who don’t speak it and there’s no appetite for independence as in Scotland. Yes, I agree. But PC have made inroads in LAB’s heartlands before, at the inaugural Assembly election where they took Rhondda and Islwyn, and ended up with 17 seats. Since then they’ve retreated to their traditional Welsh-speaking areas (though of course they pick up the odd list seat elsewhere). Realistically I think they are still the only other party that has the potential to challenge in LAB’s heartlands in the near future, if they can successfully tap into discontent with LAB. I’m not necessarily sure they will, and there is certainly no indication in the current polls that it is happening, but it is more likely than the Tories ‘winning’ Wales in the short-term. In the end Labour majority wasn’t as low as 200 votes but the result confirmed the trend towards Conservatives in the area. The 2011-2016 swing in Wrexham was 5.7% towards Conservatives while Alyn & Deeside and Clwyd South basically showed no swing and Delyn was a 1.5% towards Labour. Here Labour lead was similar to 2015 GE levels while in the other 3 it was significantly higher. Only in Vale of Clwyd the movement was higher but it was expected as it is coming off a GE gain. Am I alone in thinking WA elections tell you relatively little? I think they tell you something – though you must, of course, appreciate the differences between the two types of election when extrapolating. The trends since 1999 have been fairly consistent between the two – Labour consistently down, but not losing too many seats; Plaid static; steady Tory recovery (stalled at this election); LDs only relevant in four constituencies; UKIP doing as well as in England since 2013. Generally Plaid do a bit better than at GEs (perhaps because their voters turn out more reliably for Assembly elections) and the AMS system encourages strong votes for high-profile/popular candidates in the constituencies. The 2016 result did, in fact, match up to 2015 quite well once you take these things into account and the national swing of about 3% CON-LAB since May 2015. Yes, reading results out in Welsh in some seats where no adult speaks it – including Cardiff – was bizarre. To be fair there was hardly going to be any other outcome than the continuation of Labour rule, short of a rainbow alliance which is never going to happen, not a hope in hell of Plaid allying with UKIP and the Cons. What you should have hoped for was a significant reduction in Labs majority so they were constantly held hostage by Plaid. If an election were held tomorrow it would be a Tory landslide, but there will be no election tomorrow so it doesn’t really matter. It will be interesting to see how the Welsh polls progress over the coming months. I wonder if the Tories can poll ahead of Labour in Wales. Have you not just massively contradicted yourself there? Regardless I reiterate the point that I don’t think the Merseyside effect has much if any effect on North Wales especially not for the reason you outline “Scousers retiring in North Wales” in my experience that just doesn’t happen in sufficient numbers to make much of a difference, retirees to North Wales seem to come from all over. What’s more very few people are restring to Alyn and Deeside its just not a seaside seat at all, its WWC industrial. The North Wales retirees are mostly in Clwyd West and Aberconwy not the other seats. Well that’s slightly disingenuous, the polls improved for us then got massively worse again post Brexit, its not like they remained totally static. Buts that’s not really the point, your predictions all rely on the Lab leadership being oblivious idiots who will walk headfirst into a massacre and despite the stereotypes their clearly not that thick, if the polling doesn’t improve in the next year or so they will have to change tactics and that probably means getting rid of JC. Now of course doing so might make absolutely no difference to the polling but that’s a genuine unknown, we’ll have to just wait and see. Good points Rivers. Absolutely no point predicting an election scheduled to take place 3 years from now. One minute you do believe it’s going to be a massacre, next minute you don’t. There’s really no point in all of this, it’s just getting silly making wildly volatile predictions everyday. 3 years is a long way away, and whilst you may or may not think that Corbyn is going to stay on it really doesn’t matter, it’s just one of many variables which are completely uncertain. How will Brexit influence things? Will there be any scandals? Calls for an independence referendum in Scotland? Will Theresa May or Jeremy Corbyn meet a fatal illness (like John Smith or Donald Dewar)? etc. etc. Ad I think tis is the last role of the dice, if JC’s re-brand doesn’t bare fruit what other choice do they have but to be rid of him? Yes and no. Yes they believe the MSM media are biased (something very easily substantiated) but that’s beyond the point, they also acknowledge that’s not going to change and they need to find a way of dealing with it and if they fail to do so they know they will lose hence the JC re-brand. But you don’t KNOW that: it’s an unknown variable, just like the impact of Brexit and every other thing between now and the election which the media pick up on. You don’t know what the polls will do between now and then. Off the top of my head you’ve been very inconsistent with pretty much all of your Conservative gain guesses in the North East, Yorkshire and evidently in Wales too. Thanks for clarifying what everything I just said. For future reference try rounding up all of your guessing into a single post rather than spamming the site daily. Or just be ignorant and selfish. Labour are facing a grim outlook in this seat and throughout Clwyd. In the referendum, Wrexham voted 59% leave, Flintshire 56% leave and Denbighshire 54% leave. A You Gov “political barometer” (I presume this means poll) of voting intentions in Wales, reported in The Independent, places the Conservatives currently on 40% and Labour on 30% (The 2015 voting percentages were 27% and 37% respectively. In 2015, Labour held Wrexham by 5.6%, Clwyd South by 6.8%, Delyn by 7.8% and Alyn and Deeside by 8.1%. In all four seats, UKIP polled over 15%, giving the Conservatives a significant number of votes to bid for before they even need to take any from Labour. Unless the current dynamics alter by 8th June, the Conservatives may make a clean sweep of all seven seats in North East Wales. Yes it’s a marginal and the polls point to it being lost but I’ll believe it when it happens. It just seems unthinkable that a place like Wrexham would ever have a Tory MP! I think we all have to be somewhat circumspect about Tory prospects – they will probably gain more seats than they lose, but I suspect that some of these projections are rather outlandish. It was very marginal in 83 (the majority fell to less than 1%)and I think the seat has become more Conservative friendly in the intervening period. Restrain yourself Plopwellian Tory – you are heading into Vauxhall style speculation territory! Having said that, outside the 11 “Valley” seats, and Swansea, there are precious few places where Labour look secure in Wales. West DID narrowly fall to the Conservatives in 1983 though only for one parliament. It is quite a mixed constituency ranging from the Ely council estate to the very pleasant area around Llandaff cathedral. South held in 1983 – but that may be largely attributable to Labour’s candidate at the election : One James Callaghan. Am originally from Wrexham. Atkinson seems quite popular locally, and I assume the Conservatives will nominate him again. The town has changed quite a lot demographically since 1983, and as well as the pretty successful Industrial estate it is indeed a commuter town for Chester/Merseyside/Manchester in part now. Corbyn is not the sort of Labour leader who will go down well in North Wales generally (I am historically certainly a Labour supporter but will not be voting for them with him as leader and will almost certainly vote LD to declare my position). I am struggling to see how Labour will hold onto Wrexham on 8th June, although I know and like Ian Lucas. The LD’s have historically done fairly well in Wrexham and will surely improve on the 2015 nadir, mainly at Labour’s expense. UKIP votes are also likely to head Tory. Conservative I think by about 3,000. It is quite possible Labour will lose all the North Wales seats, Ynys Mon most likely to Plaid, the rest to the Tories. I can see the Lab-Con swing as in 2015 being higher in these former (but you are now going back 30 odd years) mining areas. Mainly the 50 local wards bys upto now, but Britain Elects are also tweeting a few Labour losses in Wales – North & South.